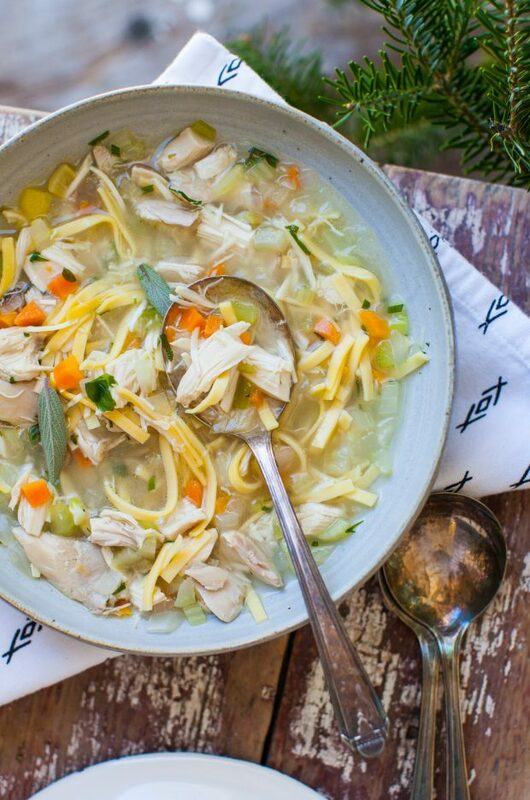 Successfully saved Aimée's big batch Chicken Noodle Soup recipe to your Calendar. You can also save the ingredients to your Grocery List. If you can, use an organic chicken, as they tend to be much leaner than commercial. If not, skim off the excess fat from the pot as the chicken simmers. A few leaves of fresh sage may be used in place of the thyme. For the broth in Step 1, feel free to jazz it up with lemongrass, ginger, turmeric or additional garlic. The more fragrant the better.